This post is not about the revolution ongoing in Egypt, or a film with Wesley Snipes. 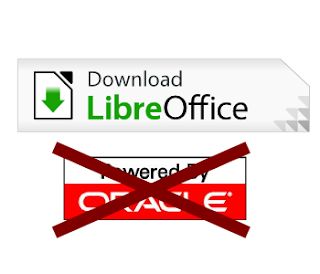 It is just about LibreOffice on a very new Ubuntu installation and a few thoughts about my silent dream called 'software solution independence'. Thus, returning to this 'thing' that was tasteless for me. Having collected my chosen technical laptop parameters (called: 'must have options', e.g. matte LCD, Ubuntu/no operating system), I moved to the laptop market, or in others words, I started to search for e-shops having my ideal laptop. I have even seen one organisation 'Freedom for laptops' that is going to take care of this 'sticky business' in Poland. I do really hope they will succeed and make me at least 90% happier next time I will search for my new laptop. Continuing this melody of hope, I have removed OpenOffice from my newly installed Ubuntu 10.10. Having done this, I'm not saying that I don't like OpenOffice, I just don't like red coloured Oracle logo on it. It reminds me of the 'sticky business' options that I don't accept.